I suppose I should explain my point of view before jumping into this movie review of Star Trek into Darkness. And yes, this movie came out in May and I just watched it because I watch most movies via Netflix Blu-ray discs because I really don't want to pay to see most movies in the theater when I can't pause them for a bathroom break. If you don't want to hear my explanation of how I approach Star Trek into Darkness, skip the next paragraph. I've been a fan of "Star Trek" in its various configurations since seeing the original series (TOS in Trekker argot) in first run when I was seven and eight years old. I didn't get to watch it much because no one else in the family liked it and being the youngest my opinion of what to watch was taken into consideration last. In other words, if no one else was watching the single television in the house, I could watch "Star Trek." I really didn't get into Star Trek heavily until we got a third commercial television channel in the early '70s and starting in about 1974 they started running Star Trek: TOS at 4:00 P.M. everyday which was not long after I got home from school. I have, as far as I can determine, seen every episode of every Star Trek series except one of "Deep Space Nine" (in it's first run I was preparing a hellacious assignment for a Chemical Engineering class and somehow missed it in reruns). I have seen every Star Trek movie from the good (Star Trek II: The Wrath of Kahn), the bad (Star Trek The Motion Picture) and the ugly (Star Trek V: Where No Man Has Gone Before). So I am a Star Trek fan. Now I'm not crazy. I have never been to a convention. I have never dressed up like a crew member or an alien. I have not bought every episode on DVD (I do have some favorites from TOS on VHS but . . . well, you know). So I am an old-fashioned Star Trek fan. My protagonist of Book of Death is also a fan. Now, the movie. 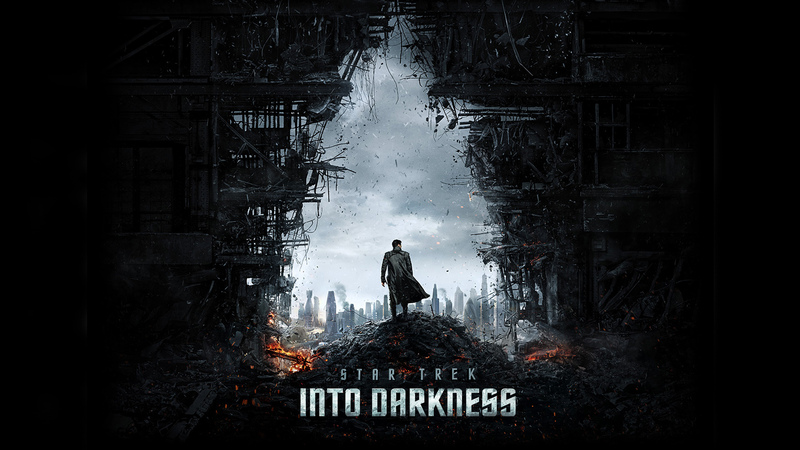 Star Trek into Darkness is well-written, visually interesting, well made, the direction is very good, and it is exciting and fun. It's just not a Star Trek movie. If I forgive the violence the J.J. Abrams Star Trek movies do to the Star Trek universe, I can enjoy them. J.J. Abrams knows how to fill the screen with exciting imagery. I do enjoy the shout outs to old Star Trek memes (and being a fan, I recognize them). If I was looking at these movies not from the perspective of a Star Trek fan, I would still have some quibbles (A spaceship is not going to do well underwater and those big heavy things in engineering wouldn't be in a spaceship where reduction of mass is all-important) but they are still good, entertaining movies. It's sort as if they are fictional stories written by people who live in the Star Trek universe. Like if Sulu decided to write a novel. But he'd at least have his science right. I gave Star Trek into Darkness four stars on Netflix which I think it earned simply on the value of its entertainment. But it's not a Star Trek movie.